Be sure to read the previous installment in this series of Responding to the Critics, as we focus on the claims and views of Keith Mathison. Mathison’s self contradiction continues when we examine his positions on Revelation 10-11 and Revelation 20. Let me demonstrate his problem. The time of the sounding of the seventh trump is the time of the judgment / rewarding of the dead at the resurrection (Revelation 11:15-18). The time of the judgment / rewarding of the dead at the resurrection is the resurrection of Revelation 20:11f (at the end of the millennium). The sounding of the seventh trump was fulfilled in AD 70 (Mathison, Dispensationalism, 112; Age to Age, 676). Therefore, the time of the judgment / rewarding of the dead at the resurrection of Revelation 20:11f (at the end of the millennium), was fulfilled in AD 70. The only way for Mathison (Incidentally, Kenneth Gentry holds to most, if not all, of these identical beliefs), to avoid this acute dilemma is to prove beyond doubt that the resurrection of Revelation 11 is not the resurrection of chapter 20. This would mean of course, that the dead were (or will be) judged and rewarded twice, once in AD 70 at the sounding of the seventh trump, and then, they will one day be judged again– but, evidently, with no sounding of the trumpet! Needless to say, this presents all sorts of problems for Mathison, Gentry, et. al. What is the proof for this? It does not exist, and Mathison offers none. In his comments on Revelation 21-22 Mathison is quite clear that he believes that the New Jerusalem and New Creation was imminent when John wrote (2009, 691f). He insists: “It seems clear from the time statements in Revelation following the New Jerusalem imagery that this must come to pass not long after John wrote (Revelation 22:6, 7, 10) (2009, 695). Amen! Gentry makes our job of responding to the critics extremely easy! All of this raises the issue of Abraham again, does it not? It is interesting to note what Gentry says about this. Commenting on the descent of the New Jerusalem as the Bride adorned for her husband, Gentry says that in Revelation 21:1f, “John sees the New Jerusalem coming down out of heaven to earth in the establishment of Christianity (Revelation 21:1-2). This was the heavenly city that Abraham ultimately sought beyond the temporal (and typical) Promised land (Hebrews 11:10, 16).” (Kenneth Gentry, He Shall Have Dominion, (P and R Publishing, Phillipsburg, NJ, 2009)147. He adds: “The Heavenly Jerusalem is the bride of Christ that comes down from God to replace the earthly Jerusalem (Rev 21:2-5) in the first century (Rev 1:1, 3; 22:6, 10). With the shaking and destruction of the old Jerusalem in AD 70, the heavenly (recreated) Jerusalem replaces her” (Dominion, 2009, 367). Gentry now takes the (decidedly non-creedal) view that Revelation 21-22 do not speak of the consummate New Creation: “Despite initial appearances, Revelation 21-22 does not speak of the consummate new creation order.” (Kenneth Gentry, Navigating the Book of Revelation, (FountainInn, SC., GoodBirth Ministries, 2010)177). This puts him at severe odds with Mathison who insists that we must honor the creeds! ☛Mathison (and Gentry) say that the resurrection has not occurred. Abraham, Isaac and the OT worthies have not been raised to their reward. (Although fascinatingly enough, they also tell us that Abraham now sits at the table in the kingdom, per Matthew 8:11, and this is unequivocally a resurrection promise! 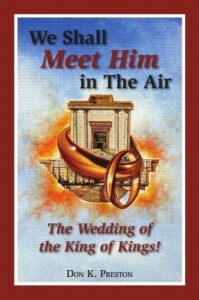 See my critique of Gentry for more on this in my book, We Shall Meet Him In The Air, the Wedding of the King of kings). This book proves beyond doubt that Christ came in AD 70- Responding to the Critics who deny it! ☛They both tell us that the heavenly city and country promised to Abraham became a reality in the first century, in AD 70. ☛They tell us that the seventh trump sounded at the fall of Jerusalem, the kingdoms of this world became the kingdoms of God, and the dead were judged and rewarded. The thing is that if Mathison (and Gentry) believe that Revelation 21-22 are fulfilled, and that the Abrahamic promise is now realized, and that Revelation 11:15f was fulfilled in AD 70, then of logical necessity, he (they) must believe that the resurrection of Hebrews 11 and Revelation 20 is likewise fulfilled! It is logically self-contradictory to say that the Abrahamic promises of the heavenly city and country have been fulfilled, and that the OT worthies have received their reward, that the dead have been judged and rewarded, and at the same time deny that the resurrection is past. This is nothing but a desperate, confused and confusing theology. There is a great deal more that we could observe about Mathison’s latest book. However, it is undeniably true that Mathison’s own words logically demand that he believes that the resurrection of the dead is past already. There is no way to logically, scripturally, hermeneutically defend Mathison’s self contradictory, self defeating theology. 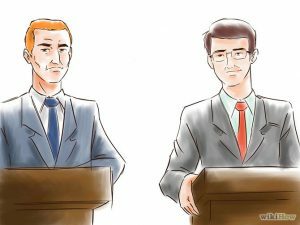 It is little wonder that when challenged to meet me in public formal debate that Mathison has adamantly refused. When you have a theology that is this self contradictory, so illogical, so clearly in violation of text and context, it is wise to avoid public exposure! His theology makes the task of Responding to the Critics very easy!